Limp bindings were at times temporary, and provided a means of keeping, preserving and organizing administrative minutes, accounts, and other various documents. 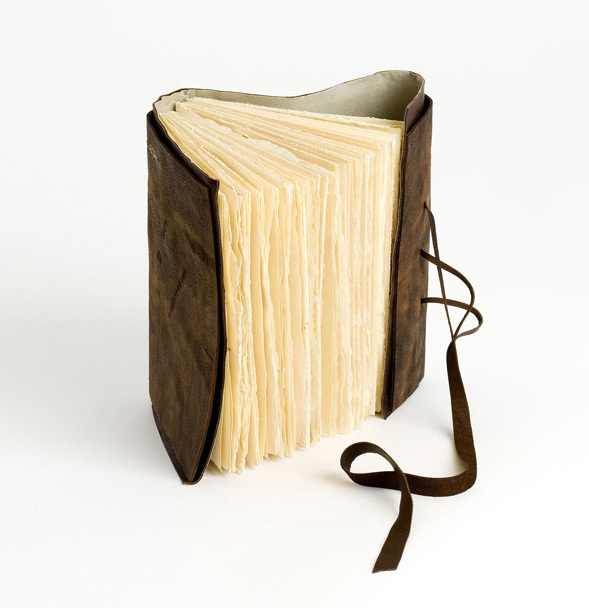 They were developed when, unlike today, there was less choice in material, but in a time when there were incentives to develop ingenious and creative methods of binding. one can easily combine a number of different materials. During this course we will make ourselves a referenslibrary with different techniques, will will also learn how to make different parchment courners. Monica will also be able to show pictures from her studies. The book “Limp bindings from the Vatican Library” will be included in the price.